The Sandia Sniper flood extraction machine offers the ultimate in flood water extraction. Minimize damage by being able to immediately respond to disaster sites. Whether it is a freshly burst pipe or just plain flooding, the Sandia Sniper flood extraction machine is the right recovery unit for you! It can extract up to 40 gallons of liquid per minute. You can receive up to a 20 - 40% improvement on extraction efficiency when used with our Dri-Eaz Rover High Volume Extractor. When using these two machines together, you'll be extracting continuously until the job is finished. No more stopping and starting to dump your machine, the Sniper will continuously dump out your recovered solution at 40 gallons per minute. Another way to use this machine is with an extractor vac hose and a flood water wand, which are both pictured at left. These tools are going to be the most efficient way to remove large amounts of standing water from any area. The wand itself is very lightweight and very easy to use for long periods of time when extracting water. This flood water extractor utilizes a 2 stage vacuum motors to lift water from surfaces into a recovery tank and then pump it out through a drain hose. The drain hose should be placed somewhere where it can discharge large volumes of water. Floor drains, sinks, and outdoor drainage systems are ideal. If you are in need of something a little more powerful, please take a look at our complete line of flood water extractors. 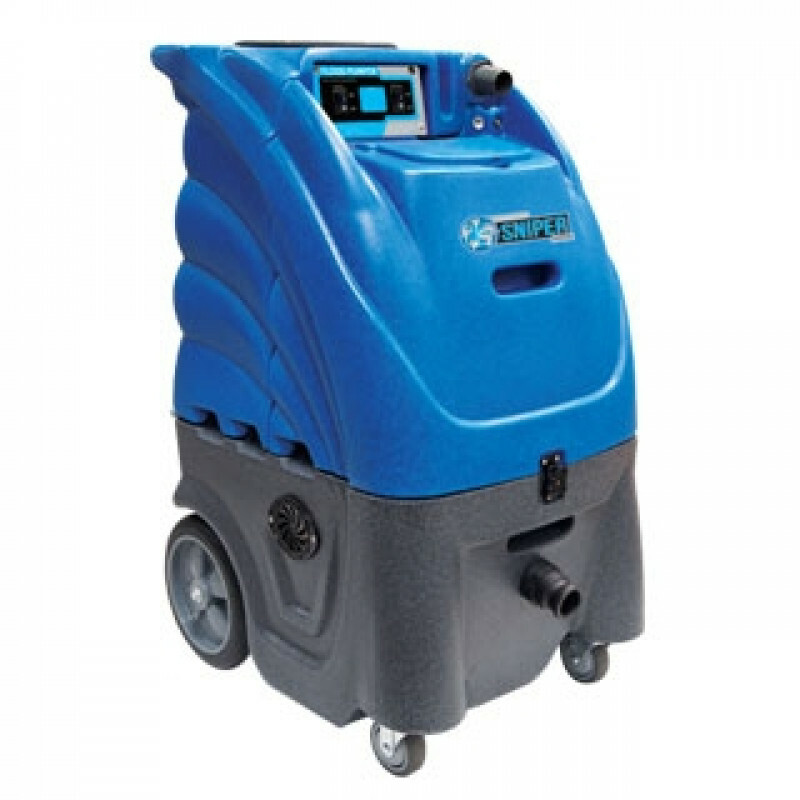 To make this a complete flood restoration package, you'll also need to purchase one of our commercial dehumidifiers, several axial fans, and possibly one of our negative air machines for extreme disaster sites. Offers a 20 - 40% better recovery rate performance compared to other flood extractors when using deep extraction tools. 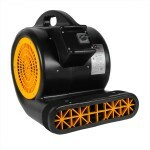 Works great with our LGR 2800i dehumidifier, to quickly remove water from flooded areas. The innovative air intake design that uses the vacuum’s own cooling fans to stay cool by pulling outside air over the motor. The auto pump-out feature automatically dumps water so the tank don’t have to be emptied when full. Keeps the tools you need tangle-free and ready to use. Comes with a 1 year warranty on pump and all electrical components. Lifetime warranty on body, 2-years on vacuum motor, 1-year on pump and all electrical components, 90-days on tools and accessories. This is a review for the Sandia Flood Water Extraction Machine - 24 Gallons.